You gain 27,000 points [?] Loyalty program points By purchasing products included in the loyalty program, you gain points, which then can be exchanged to other products available in the store or for a permanent discount. Only available to registered customers. Dell is one of the first manufacturers migrating to the new Haswell architecture in the business range this year. 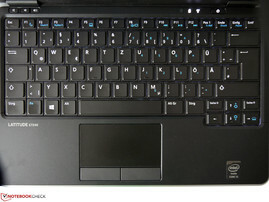 The Dell Latitude E6540 was one of the first business notebooks featuring Intel's fourth generation Core i CPUs. Meanwhile there are also competitors from other manufacturers, e.g. the Lenovo ThinkPad S440 available, while Dell has gradually updated its complete product range. The Dell Latitude E7240 is a mobile 12-inch ultrabook, which should balance the advantages of a slim design and the high demands of professional business customers. However, Dell currently only offers a limited number of options in its online shop. Apart from further CPU options, a touch-capable full HD display, more RAM, integrated WWAN or more storage capacity should be optionally available in the future. Our test device features an Intel Core i5-4200U-CPU with integrated Intel HD Graphics 4400, 4 GB RAM, a 128 GB SSD and a matte HD display. In Dell's online shop, the net price was about 930 Euros (approximately 1110 Euros including VAT/~$1256 and $1499 respectively) after deduction of all discounts at the beginning of the test. Meanwhile the base price of a slightly different model increased to 1069 Euros (~$1444) without VAT. Two-color case with decent look. The test sample features a dual-color aluminum case. The underside is anodized and the keyboard side features a soft touch surface. We like the decent look. Latitudes have usually come without chrome strips or glossy elements anyway. The silver lid slightly warps from side-to-side twisting, but appears to be stable and easy to clean. Moderate pressure does not affect the image when the screen is on. The stability of the base unit is not perfect either. It visibly bends from side-to-side twisting. Although this does not impair everyday use, the flexural rigidity cannot keep up with the ThinkPad S440's and slightly reduces the premium quality impression. Dell advertises that this laptop meets the MIL-STD-810G standard in a video about the Latitude 7000 series, but it does not specify what portions of the standard it fulfills. MIL-STD-810G consists of tests with extreme temperatures, air pressure, sunlight, moisture, chemicals, accelerations, and vibrations. 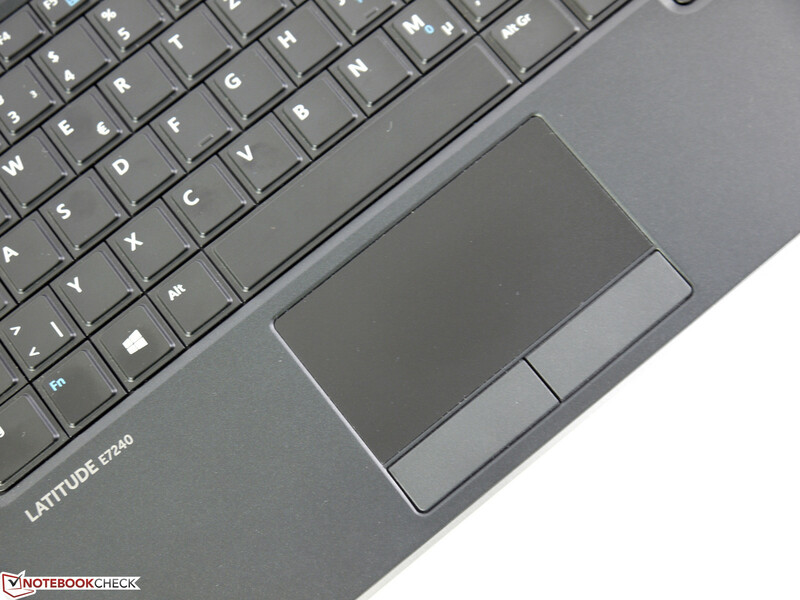 The build quality of the Dell Latitude E7240 is very good; the palm rests show no depressions when pressed with a finger, the display hinge holds the screen safely in place and the design of the case appears to be solid. Although the weight is not especially low, it is still very portable at 1340 g (~3 pounds). The replaceable battery and the conventional docking port are advantages. The connectivity is good for an ultrabook. Apart from USB 3.0 ports (1x with charging function), which became standard in the meanwhile, the Dell Latitude E7240 features a standard HDMI interface and a mini DisplayPort for digital connection of external displays. In addition, it has a card reader and a conventional Gigabit LAN interface. In our opinion, the interface layout is good. There are sufficient interfaces for connecting the usual peripherals like printer, external display, hard drives or optical drive on the rear side without disturbing cables left or right of the notebook. The right side houses another USB port, which can be used to quickly connect a digital camera or a smartphone. In addition, a card reader is placed there, making it easily accessible. Our test model comes with a Dell Wireless 1506 Wi-Fi module and two antennas. It uses the 2.4 GHz band and could achieve transfer rates of up to 300 Mbit/s, in theory. Signal strength and connectivity to our 802.11n router with Ralink RT2860T chip were normal. We kept the laptop in line of sight of the router and measured the Wi-Fi performance in 2, 5 and 10 meters (~6.6, 16.4 and 32.8 feet respectively) distance. The results are between 4.3 MB/s and 5.77 MB/s. Our test model does not have a built-in Bluetooth module. Apparently, the Dell Latitude E7240 only supports Bluetooth, if it is already integrated in the WLAN module. For example, Dell's Wireless 1601 does, but it is not yet available. The same is true for the WWAN modules (HSPA+ or LTE) mentioned in the specs. An HD web cam, a dual array microphone (both in the display bezel) and a standard Gigabit Ethernet port complete the communication equipment. Despite focusing on premium quality, the web cam's image quality is only modest and might only fulfill basic requirements of video conferences. 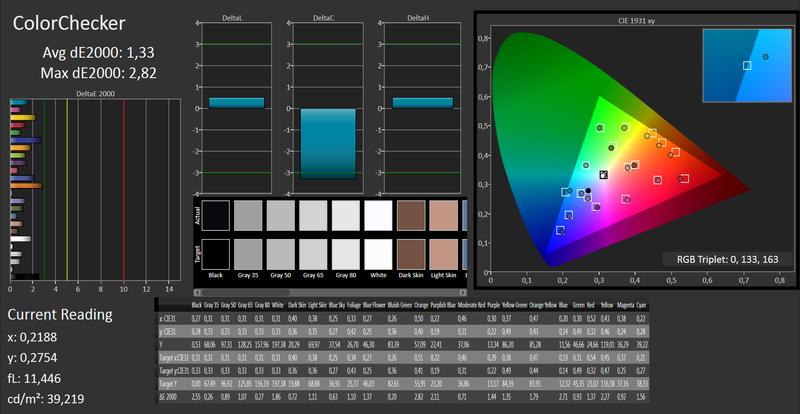 Colors hardly look natural, there is visible noise and brightness differences worsen the impression. The security features of our test device consist of only the usual BIOS and system passwords. A fingerprint reader, Dell's data protection security solution (with several security and encryption tools) and a smartcard reader are optionally available for a surcharge. 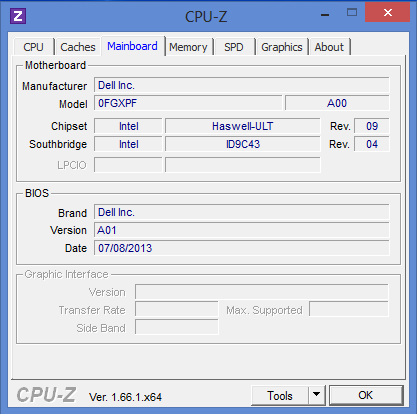 In addition, you can enable the Trusted Platform module and the Computrace service in the BIOS (F12). All-important components are below the bottom plate. It is easy to get to the fan and clean it. A second RAM slot is still free and can be used for quickly upgrading RAM. The WWAN slot of our test model is unoccupied too. However, due to missing antennas, a later integration is not that easy. Although the Dell Latitude E7240 is an ultrabook, you can remove and replace the battery as you would from any normal business notebook. The warranty period of Dell's Latitude 7000 series is 36 months by default. The warranty includes basic service on the next workday. As usual, you can add further services and enhance the warranty period. Dell e.g. offers a warranty extension to 5 years Pro support with on-site service on the next workday for an additional 170 Euros (without VAT/~$230). The standard keyboard features full-sized keys in a 19mm grid and includes a backlight feature. The latter has four brightness levels and improves the already good legibility of the key labels in low light conditions. The FN combinations have a different color (bright blue) and can be easily distinguished from the standard functions. While the keyboard is slightly springy around "J", it is rather stiff in general. Because of the medium key travel, the quiet tapping and the decent pressure point, prolific writers will like the keyboard and you will only need a short time to get used to it. 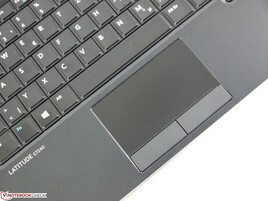 The touchpad features a touch sensitive surface of 90 x 50 mm (~3.5 x 2.0 inches) and convinces with good gliding traits. Standard commands work well, but the size is often too small for multi-touch gestures. We like the separate buttons with their rubberized surface. They are responsive and quiet. Our test model does not feature a TrackPoint. 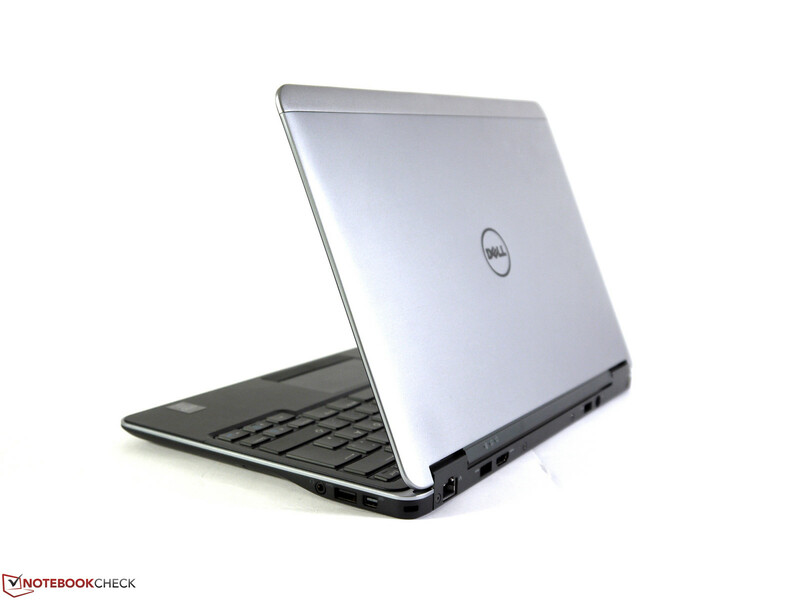 Our Dell Latitude E7240 comes with a matte 12.5-inch HD display with a resolution of 1366 x 768 pixels. This gives a pixel density of 125 dpi. The compromise of screen real estate and image size is good and will be liked by many users. Dell wants to offer a full HD display with touch support soon. However, alike many other options, it could not yet be configured at the time of testing. The display brightness has 10 levels, ranging from a minimum of 8 cd/m² (center) to a maximum of 237 cd/m² (upper middle section). Level 7 corresponds to a brightness of 146 cd/m² and so we used it in our Wi-Fi test. This brightness is often sufficient and comfortable for the eyes indoors. The average maximum brightness is 210 cd/m² and the brightness distribution of 81% is satisfactory. The brightness is not reduced on battery. Combined with a matte surface, you can work rather comfortably outdoors. However, the Dell Latitude E7240 allows only limited use on particularly bright summer days or in direct sunlight. 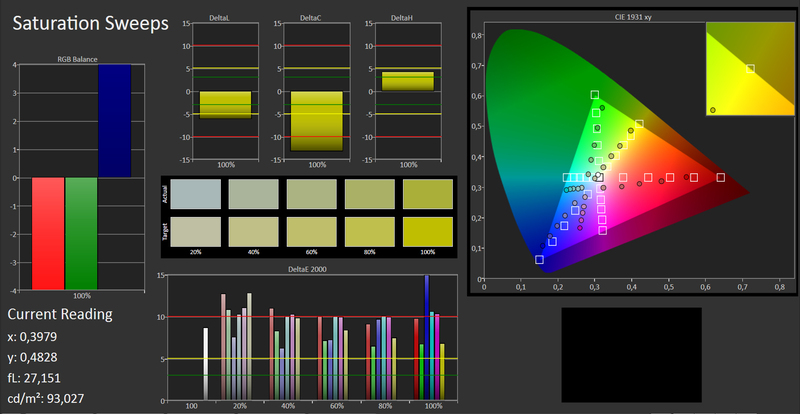 The contrast of 334:1 is too low for multimedia applications. Black looks grayish and colors look pale. 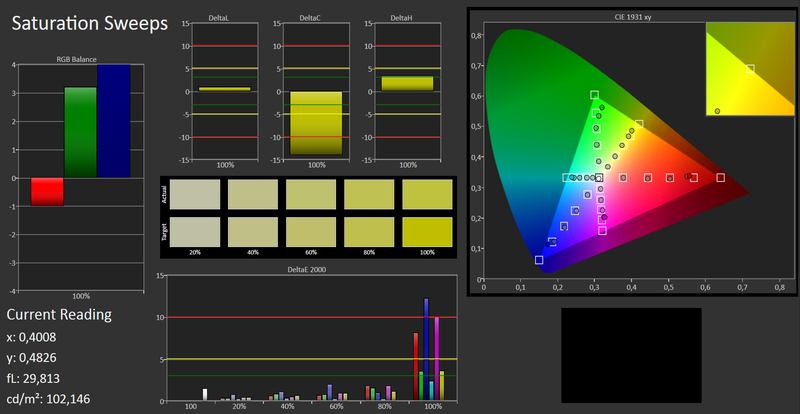 The color space is about 60% of sRGB and not suitable for professional picture editing. 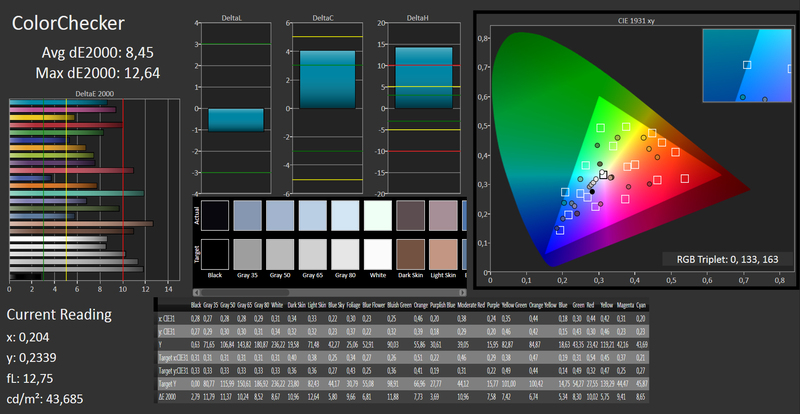 The same is true for gray levels, color precision, and color saturation with factory settings. 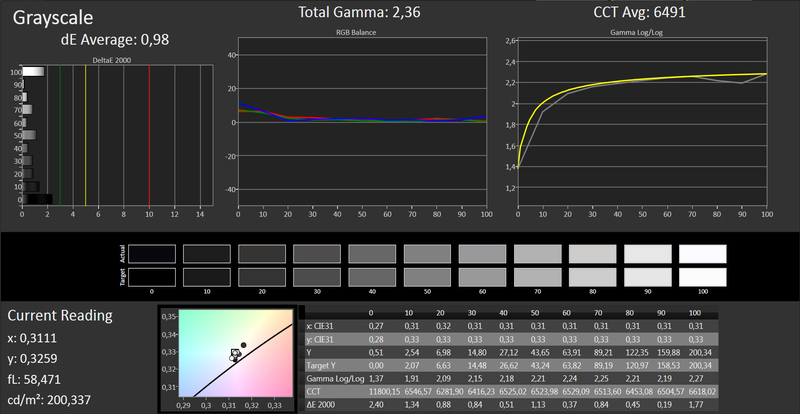 You can clearly see the differences with naked eyes as the average DeltaE 2000 values are about 9. 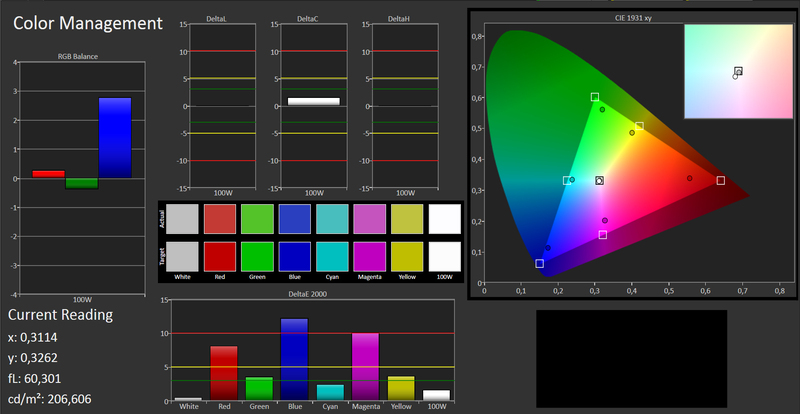 Although calibration will visibly improve the values, the small color space and the significant deviations in blue and magenta clearly show the limitations of the display. 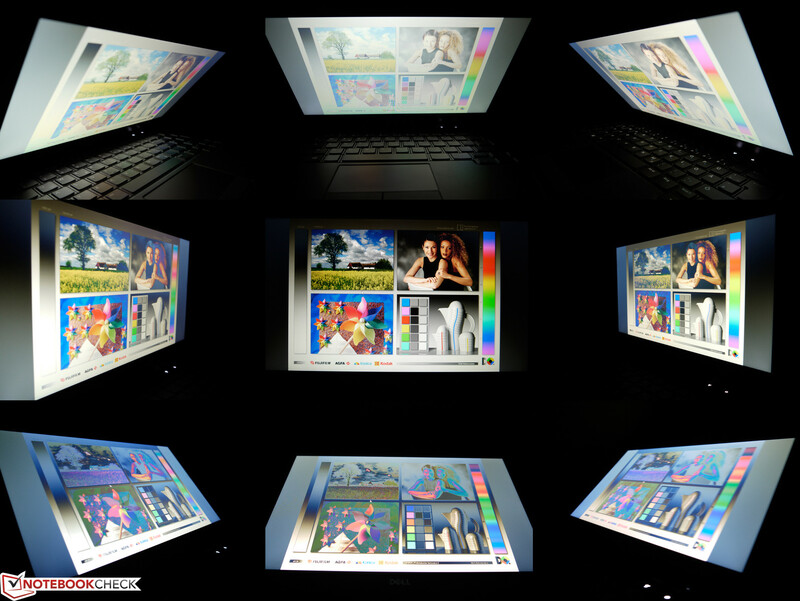 The viewing angles of the HD display are typical for TN technology. In the vertical direction, colors invert or the picture gets brighter with increasing angles. In addition, you can see slight color changes. In the horizontal direction, the viewing angles are much wider. Therefore, the display is readable for several persons. Brightness decreases and colors change only slightly here. Three pre-configured models of the Dell Latitude E7240 were offered at the time of testing. Despite discounts, none of the three is a bargain compared to Dell's usual prices. The top model features Intel's Core i7-4600U-CPU, a 256 GB SSD and 8 GB RAM. The price is starting at 1470 Euros (~$1985) without VAT without extras. Although the base price of 1070 Euros (~$1445) without VAT of our base model is significantly lower, the price is still steep and the hardware was significantly axed. 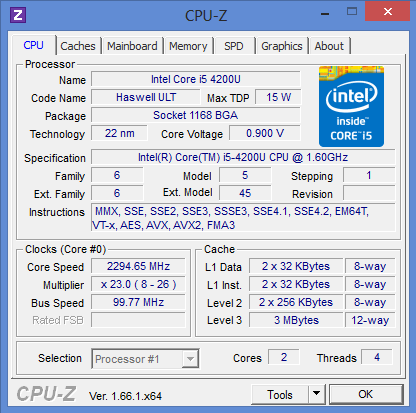 Instead of an Intel Core i7-CPU, it features Intel's Core i5-4200U-CPU. With 4 GB, only half the RAM capacity is available, and the SSD has a small gross storage capacity of only 128 GB for today's standards. 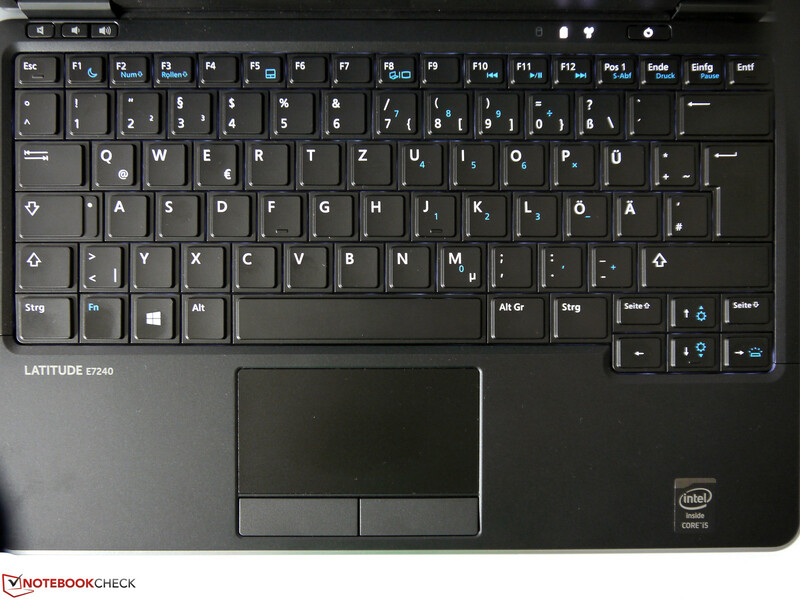 Similar to most new Haswell laptops, Dell's Latitude E7240 also uses an ultra-low-voltage CPU. The power demands of chipset, memory controller, and Intel's integrated Graphics 4400 are already included in the low thermal design power of 15 Watts. So, the total power consumption is low, which is important for practical battery life. The performance of the Intel Core i5-4200U processors is about on par with the Intel Core i3-3110M-CPU's with a TDP of 35 Watts. 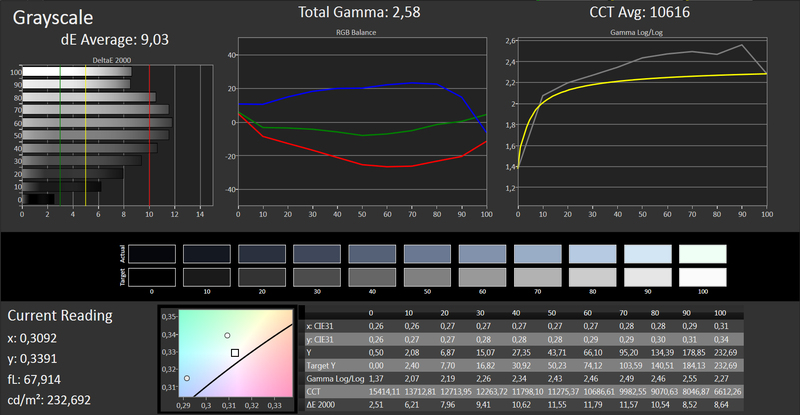 The test model achieves 4948 points (single rendering) and 9943 points (multi rendering) in Cinebench R10 64-bit. wPrime calculates 1024m (multithread) in 672 seconds and SuperPi 32m (single thread) ends after 748 seconds. In a realistic test, we converted video and audio files. If the conversion tool can use Intel's Quick Sync Video, conversions can sometimes - depending on the source and the destination format - be done quickly. If a conversion task only runs on the CPU, it might take significantly longer because of a high system load. In contrast, audio conversions with iTunes profit from high CPU clocks. 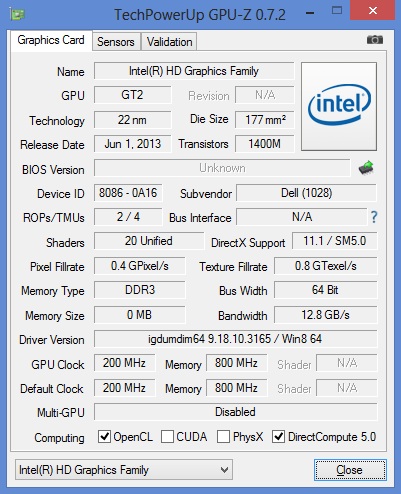 The Intel Core i5-4200U-CPU reached 38.9-fold speed. 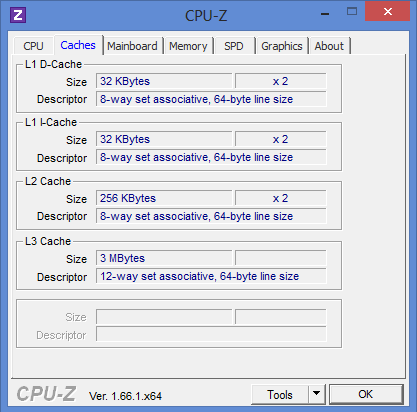 Its rank among Haswell ULV CPUs conforms to its clock rate. The performance does not fall on battery power. 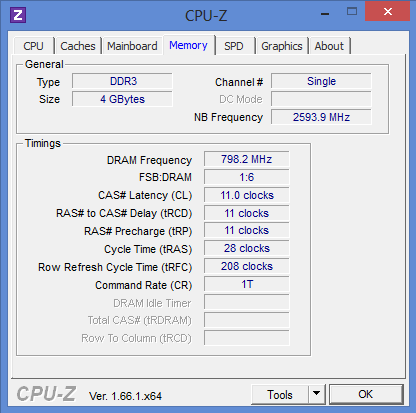 The CPU clocks with its base clock of 1.6 GHz and the GPU clocks between 950 to 1000 MHz under continuous full load, but the clock rate did not fall below these. We ran the test with Dell's energy profile "Ultra Performance (Max Fan Levels)". The system performance of the Dell Latitude E7240 under review is, overall, balanced. The RAM capacity of 4GB could be improved. A second module will not only increase the RAM capacity but also activate dual channel mode. The latter will not only improve memory performance, but also increase the performance of the shared memory graphics by about 10 - 25%. The test model achieves 4529 points in PC Mark 7 and 2423 points in PC Mark 8 (Work). The Dell Latitude E7250 is too slim to house a 2.5-inch drive. 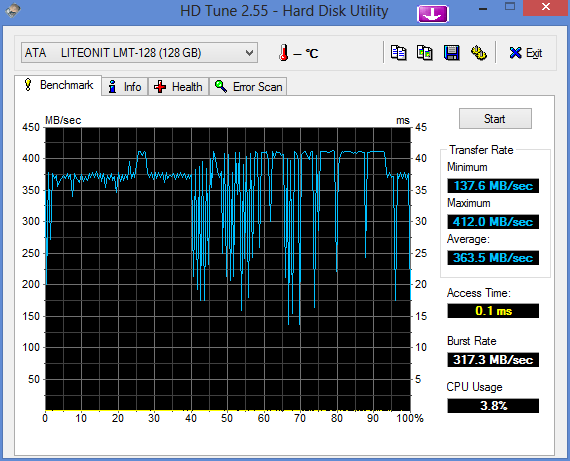 Therefore, it used an mSATA-SSD from Lite-On IT with a gross capacity of 128 GB instead. However, the available capacity is only sufficient for basic requirements and can only be extended by replacing the mSATA module. 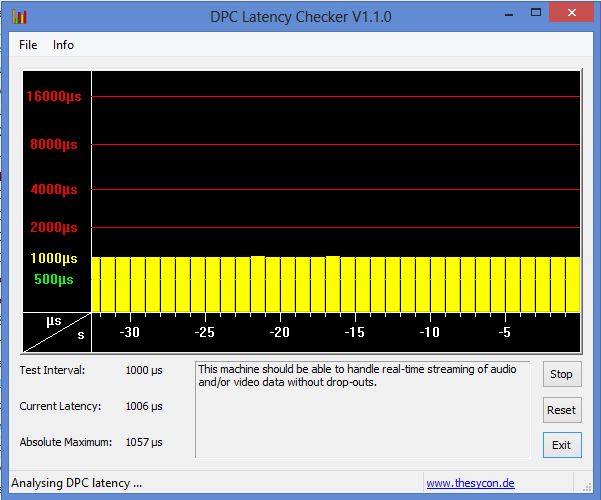 Nevertheless, the performance is convincing with 493 MB/s in sequential reading and 303 MB/s in sequential writing. The low access time of 0.1 ms is typical for an SSD and improves the fast user experience, though HD Tune is not the best benchmark for non-mechanical drives. The Intel HD Graphics 4400 integrated in the processor is fast enough for many kinds of tasks and is a good solution in a business ultrabook. Full HD videos run without stuttering, Intel Quick Sync Video can accelerate video conversion and the performance is sufficient for undemanding games. Several features including support of Intel's Wireless display and up to three displays simultaneously are appreciated in the business range. 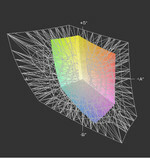 Still, the frugal graphics unit is not powerful enough for demanding 3D tasks. Dedicated graphics cards are much better here and achieve significantly higher frame rates. The E7240 only achieves 3167 points in 3D Mark Vantage and 725 points in 3D Mark 11. Adding a second RAM module would activate dual channel mode and the shared memory graphics card would profit from the improved memory performance. As a result, the graphics performance would increase by 10 - 25%. The graphics performance falls neither under full load nor on battery. 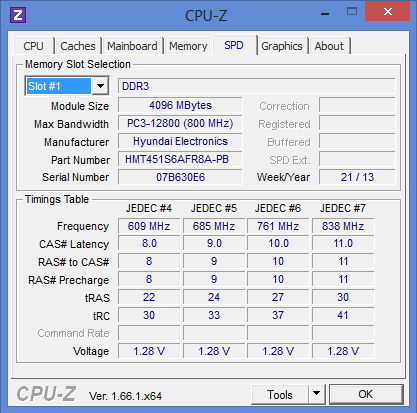 The GPU can reach its maximum clock rate of 1000 MHz here. 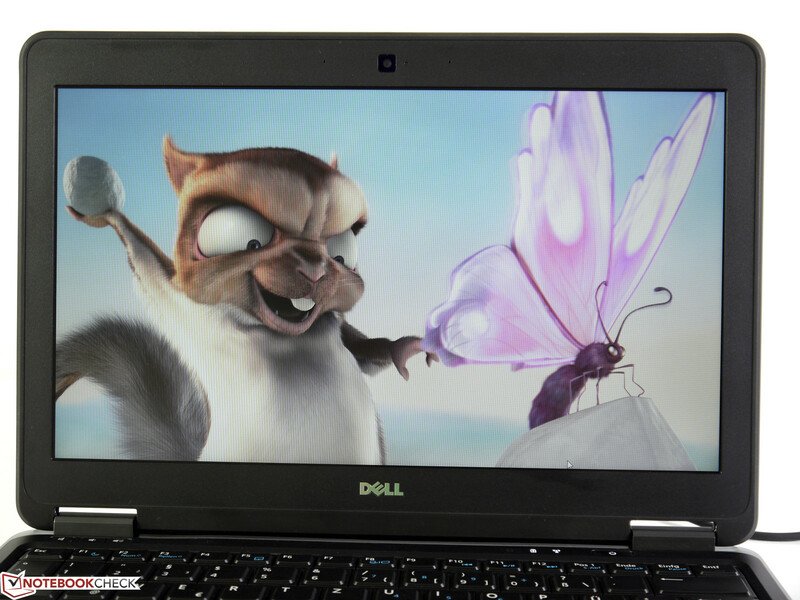 Casual games like Angry Birds or Fruit Ninja do not pose a problem for the Dell Latitude E7240. Even undemanding titles including World of Warcraft can be played very well with medium settings. Higher resolutions or slightly higher details are possible in this game. 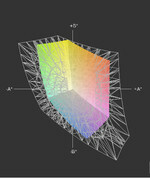 You should definitely deactivate anti aliasing in Diablo IIIso it will run smoothly and the performance will increase. Like many Dell models, the Latitude E7240 does not support several usual resolutions including 1366x768 and 1600x900 pixels on external monitors leaving our tests limited to the available resolutions.